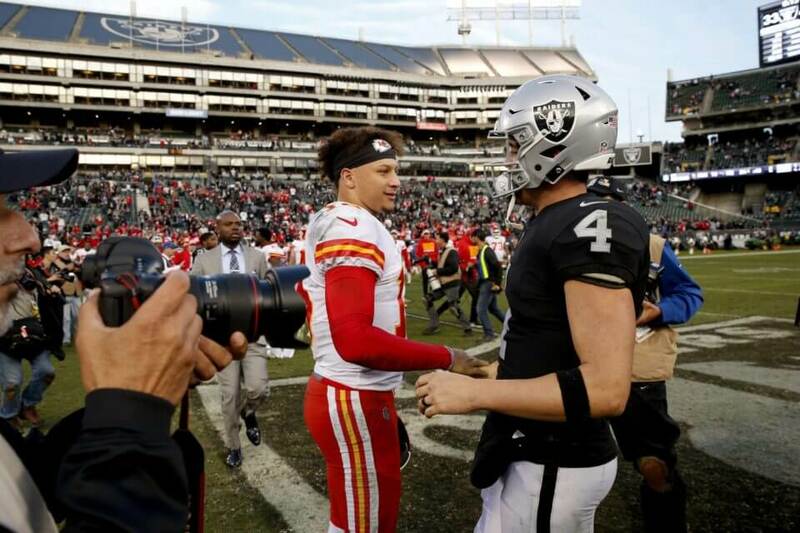 The Oakland Raiders nearly pulled off an upset against the Kansas City Chiefs in Week 13. Unfortunately, their loss moves them to an abysmal 2-10 in the 2018 NFL season. Raiders and 49ers are the first two teams officially eliminated from NFL playoff contention. There was plenty of hype surrounding both teams. San Francisco’s disastrous year can largely be attributed to the injury of Jimmy Garoppolo. However, the Raiders’ lack of success was mostly self-inflicted. Head coach Jon Gruden was supposed to elevate the team back to playoff relevancy after coming out of retirement. It quickly became evident that Oakland was headed for disaster after parting ways with nearly all of their star players. Now that they have officially been eliminated from playoff contention, all eyes will be on which team acquires the No. 1 pick in the 2019 NFL Draft. Although anything can happen down the final stretch of the season, it is safe to assume that the 2019 NFL Draft will run through The Bay. Regardless, Derek Carr has made it clear that he will do everything in his power to make sure that does not happen. He certainly gave a valiant effort against the Chiefs after completing 29-of-38 passes for 285 yards and three touchdowns. While he may have come up short this time around, it is encouraging to see that he has maintained his competitive nature. There is plenty of speculation regarding the state of the franchise. With their looming move to Las Vegas in the works, the Raiders had hoped to depart from Oakland on a high note. Instead, they will continue to experience the early stages of a tough rebuild before moving into their new home.